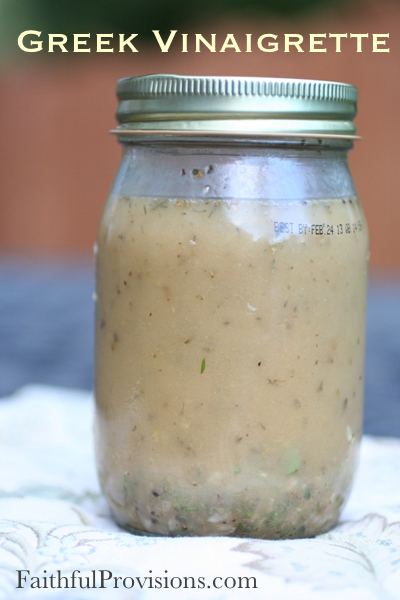 This Greek Vinaigrette Dressing can go with your favorite mix of salad greens. (I love Greek food, especially Greek salads.) I love the pop of the flavors, so cool and refreshing, especially on a warm spring or summer day. Try this dressing with my Greek Chicken Pitas and a side of Homemade Hummus. Hi there! Made the dressing today for some pita sandwiches tomorrow. I like to keep dressings for at least a day before using. So far, so good – I really like it. Thanks!